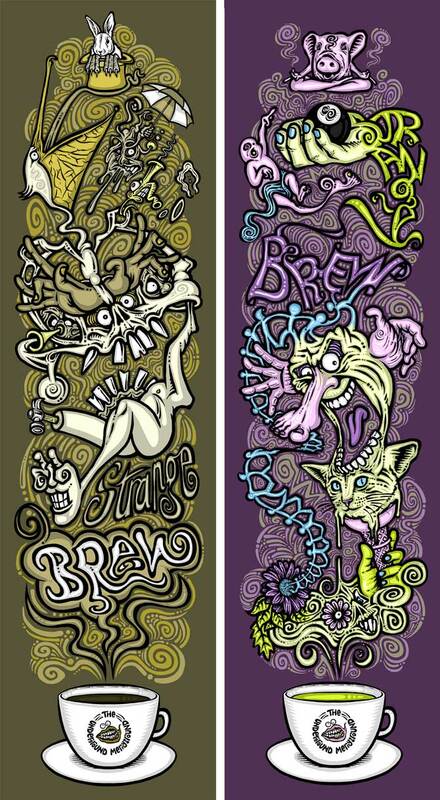 Potential skateboards graphic Mini Series of 2 illustrations entitled ‘Strange Brew’. potential skateboards graphics. Available as 22cm x 57cm signed digital art prints in my online shop.